There are more Internet connected devices in the home than ever before. While these devices are meant to simplify and add enjoyment to our lives, they often cause frustration and increased complexity. Keeping your devices and personal information secure can be challenging, and getting timely support for technical issues is nearly impossible! Tech Home is Technology Made Easy for you and your home. 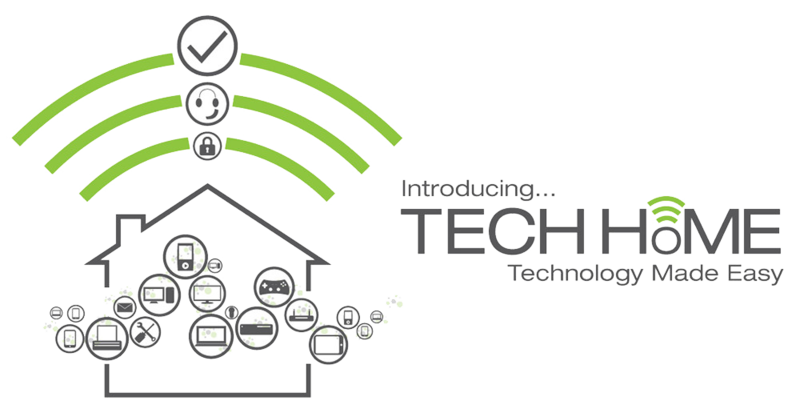 Tech Home is a complete home technology solution that makes it easy to setup, use, protect, and enjoy your networked devices… anytime, anywhere. With Protect, Protect Plus and Support packages, you will be back in charge of your digital life, with the level of support you need at the price you want. Commonly Requested Services available in Tech Home Support or individual one time services. Support you want… protection you need.